Product prices and availability are accurate as of 2019-04-22 01:29:18 BST and are subject to change. Any price and availability information displayed on http://www.amazon.com/ at the time of purchase will apply to the purchase of this product. Things seem to be running a bit slow? Still running slow after you replace the batteries? Why waste time inserting and removing battery after battery when you can just test it. 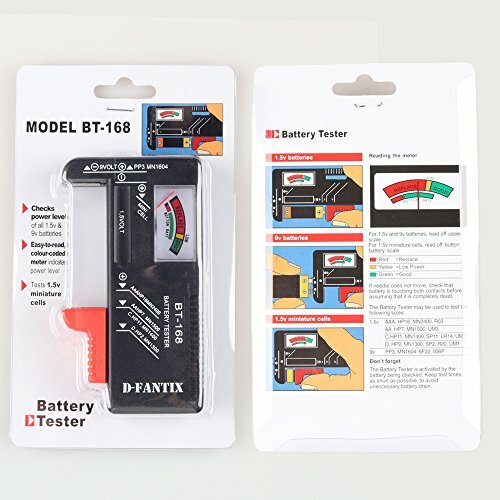 Just get the battery tester to help you find useful battery! From D-FantiX ? 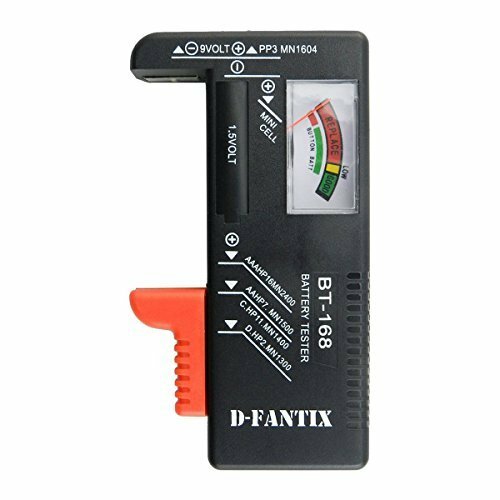 Battery Tester Checker for 9V 1. 5V and AA AAA Cell ? Easy-to-read color-coded display with "Good", "Low" and "Replace/Recharge" indicators ? Checks power level of 9V and 1. 5V batteries ? Can quickly test the capacity of your battery. ? Test multiple sizes of batteries in one unit ? Lightweight and compact, measures 11 × 6 × 2. 5 cm ? The battery tester tests 9V, 1. 5V, AA, AAA, C, D and Cell Button Type batteries. Tester does not require any internal batteries to operate. 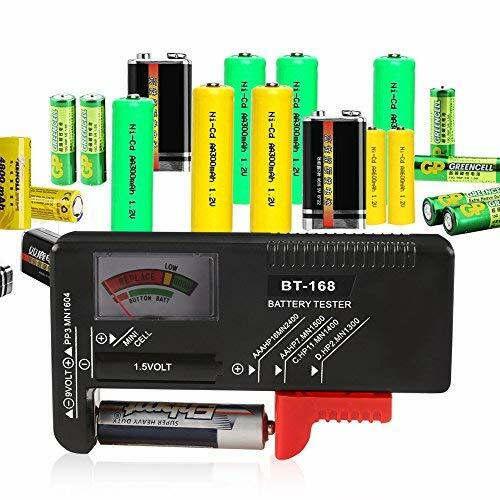 Battery capacity criteria Red= Replace Yellow= Low Power Green= Good The Battery Tester may be used to test the following sizes : 1. 5V-----AAA, HP6, MN2400, RO3, AA, HP7, MN1500, UM3 C, HP11, MN1400, UM2, D, HP2, MN1300, UM1 and Cell Button Type batteries. 9V------ PP3, MN1604, 6F22, 006P NOTE : 1. 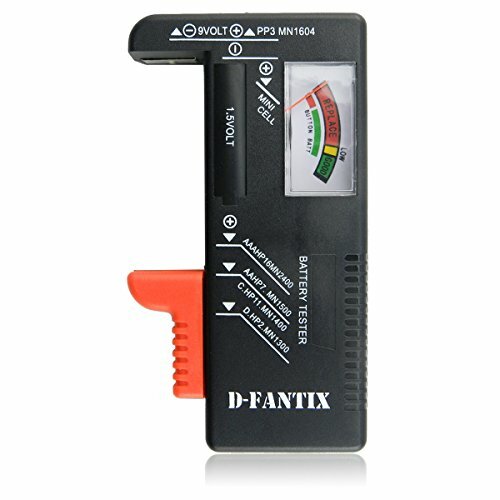 You can simply test battery voltage to determine whether the capacity of the battery is low or high. It won't directly detect the battery capacity precisely 2. Don't forget : The Battery Tester is activated by the battery being checked . Kepp test times as short as possible, to avoid unnecessary battery drain.